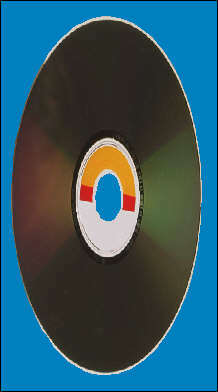 252  8/9   2 The Official BBC Album Of The Royal Wedding-Various artist comp. 276  1/9   2 Raiders Of The Pop Charts-Various artist comp. 296 12/11  5 4 of 5 Now That's What I Call Music-Various Artists comp. re 1/15 5 1 of 5 Now That's What I Call Music-Various Artists comp. 309 11/11 2 Make It Big-Wham! 465 10/4   4 1 of 4 Automatic For The People-R.E.M. re  4/18  4 1 of 4 Automatic For The People-R.E.M. re  5/2   4 1 of 4 Automatic For The People-R.E.M. re  5/16  4 1 of 4 Automatic For The People-R.E.M. 557  9/15  1 New Adventures In Hi-Fi-R.E.M. 708 11/2   1 In Time:Best Of 1988-2003-R.E.M. 734 10/10  1 Around The Sun-R.E.M. 944  2/19 10 1 of 10 Our Version Of Events-Emeli Sand? re  3/4  10 1 of 10 Our Version Of Events-Emeli Sand? re  5/27 10 1 of 10 Our Version Of Events-Emeli Sand? re  8/19 10 2 of 10 Our Version Of Events-Emeli Sand? re 12/23 10 2 of 10 Our Version Of Events-Emeli Sand? re  1/13 10 1 of 10 Our Version Of Events-Emeli Sand? re  2/24 10 2 of 10 Our Version Of Events-Emeli Sand? 1155 11/23  1 Love-Michael Bubl?